A successful and fun evening for all who attended the Focal Pub Quiz at The Bell, Adderbury on Saturday 17 November. We raised £484 for our funds. Our thanks to David & Aline Griffiths for their hard work in organising and promoting the evening. Thanks also to Chris & Sandra Shallis for their generous sponsorship of the event as well as hosting the event at The Bell. 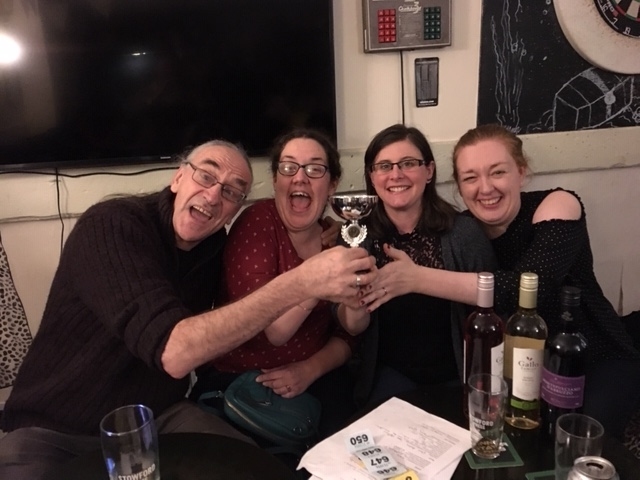 Congratulations to the winning team – Kimberley’s Friends, comprising Kimberley Allcott, Elizabeth & Dave Lovick , Charlotte Holmes and two friends, most of whom are pictured above. 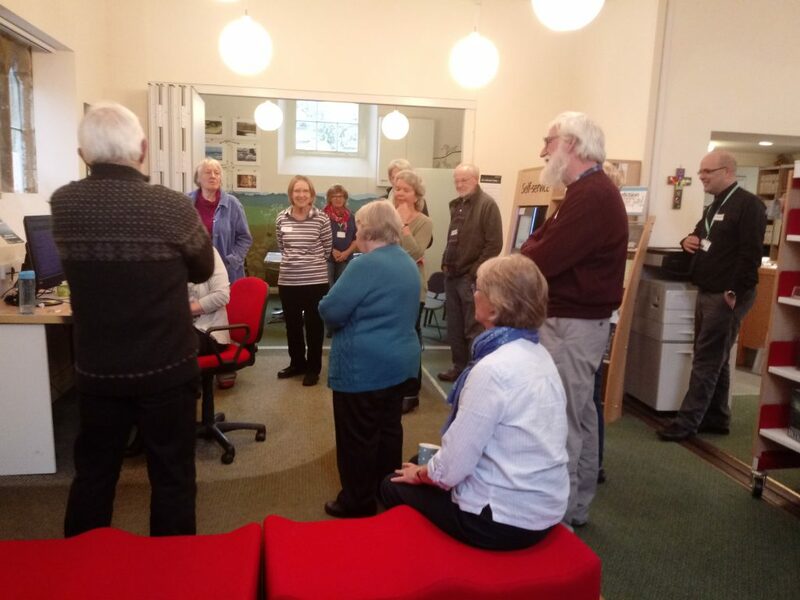 Adderbury library volunteers attended a very useful workshop today run by Graham White and Mary Davies from the County Council Library Service. The workshop covered the regular work of volunteers with many helpful tips about making the customer experience enjoyable and interesting. It also covered the digital services offered through the County Council web site. Library members can access and download a variety of e-books and a selection of magazines and reference databases. The library catalogue is also available on the web site to all viewers and library members can reserve and renew books. The library manager is supported by one or more volunteers during most library sessions. 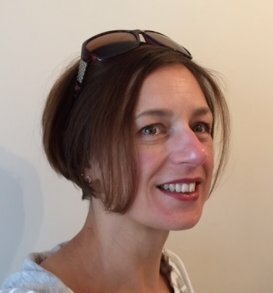 Liz Wingrove has been elected as Chairman of Focal, replacing Keith R Mitchell who stood down after six years in that role although remaining a member of the Executive. Two Executive members retired at the AGM: Chrissie Garrett and Angela Everett while one new member, David Griffiths was elected. 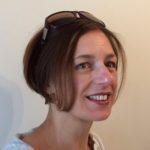 Grateful thanks were extended to Chrissie and to Angela for their significant contribution to Focal over quite a few years. David is a most welcome addition to the Executive as a hard-working community activist with boundless energy. We also lost Bobbie Howard who had coordinated our volunteers although not being a member of the Executive. We need to find a replacement for her and there is room on the Executive for co-opted members to join us. We have had to cancel our Meet the Author event for Wednesday 19-Sep-18 due to lack of demand. Only three tickets had been sold as of today and we cannot ask Sylvia to travel here and back and give of her time and knowledge for such a small audience. We apologise to the one person who had ordered three tickets and to anyone else who was planning to turn up without booking. 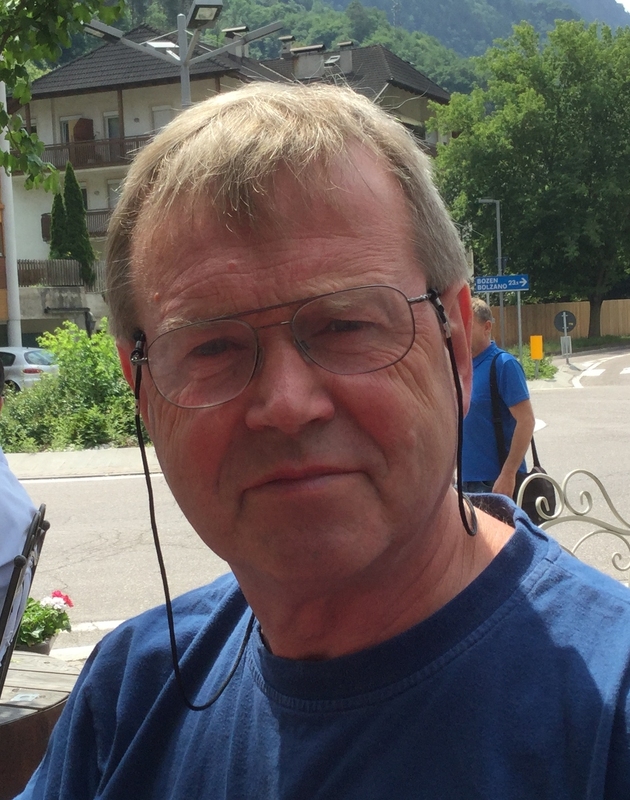 Our Secretary, Peter Britton, has now completed over 400 miles of his virtual walk from Land’s End to John O’Groats and he has decided to make a slight diversion from the direct route to enable him to wax lyrical abut an area he knows well. He has veered slightly north east and is heading for the old Roman town of Ilkley. From there, he will explore the Yorkshire Dales before heading west to take in the eastern side of the Lake District to join up with his original route northwards at Penrith. Follow his walks and see what else is on his mind by reading his blogs. On his actual walking round the village, Peter has introduced a litter-pick service. Approximately twice per week, he will take a litter bag with him and pick up anything that he sees on the verges. He has started with tidying up Berry Hill Road from beyond the Last House down to the Oxford Road and he is currently working his way up the east side of the Oxford Road. Naturally, he is not doing this for love. He is trying to raise funds for the library so, anyone wishing to donate, simply click on the Donate button on his website, choose the option that best suits you and make a donation. 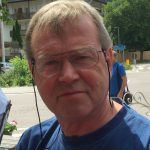 Alternatively, if you wish to make a pledge to donate when Peter has completed his walk, just leave a comment on his blog or e-mail your pledge to him at peterbritton32@hotmail.com. 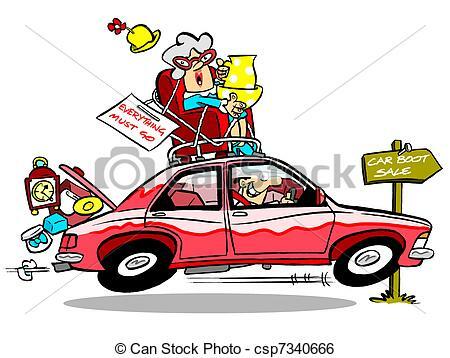 Peter is also running a virtual car boot stall. 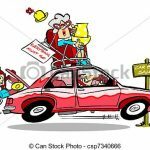 If you have items at home that are surplus/unused and would like to get rid of them but do not want the hassle of attending a car boot sale, Peter will do it for you. He will collect any reasonably sized item, take it to a car boot sale and the proceeds will go to Focal. Contact Peter by e-mail or by ‘phone on 01295 402159. He has attended three car boot sales to date and has raised £300 for Focal. He plans to attend one or two more so the amount raised will increase. He would like to thank all those local people who have donated their items to make this fund raising possible. Oxfordshire Libraries and FOCAL (the Friends of the Community of Adderbury Library) have agreed to review the opening hours of the library to ensure that these still reflect the needs of the local community. As a result of the discussions with Church House and FOCAL, a number of minor changes are proposed to the opening hours. There is no change to the overall number of hours that the library is open but we hope this offers a more logical and helpful timetable. Consideration has also been given to other users of Church House. Retain opening on Saturday mornings. 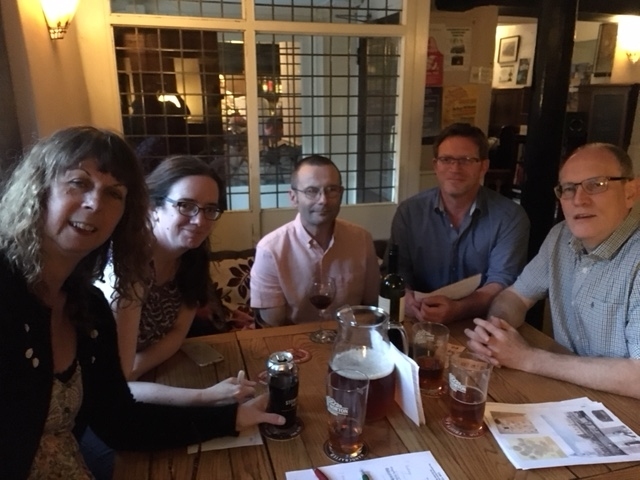 We had a most enjoyable pub quiz evening on 19-May-18 to round off the day of the Royal Wedding and, we believe, a football match that some may have watched. Organised in the unique style of David and Aline Griiffiths, the quiz attracted a good number of teams and was enthusiastically and financially supported by The Bell landlord and landlady, Chris and Sandra. Our grateful thanks to them all for making the event happen. Also to Liz Wingrove and family for their support. Below is a photograph of the winning team. 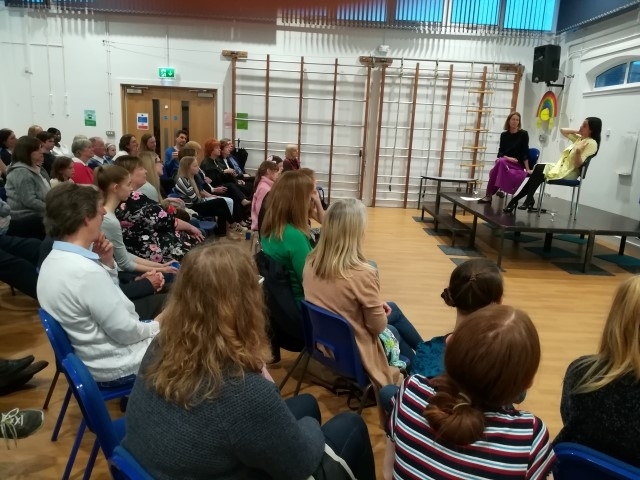 There was a grand turnout for an excellent evening for people to meet a professional ballerina and to hear some of the secrets and anxieties of a successful career. Isabel McMeekan was a First Soloist with The Royal Ballet Company. She was interviewed by her sister, Emilie McMeekan, who is a journalist. Those present learned about Isabel’s career, her new role and how aspiring ballerinas can progress in the art. The evening attracted a good number of young aspirants to dance and they left with a hugely improved idea of what is involved. Our thanks to Isabel and Emilie for giving up their evening to share their life experiences with local residents. Special thanks to Evelyn Jacomb who provided the initial contact and organised the whole event with help from her family members. Thanks also to Liz & Rafe Wingrove, to John & Sue Prentice for setting up and clearing away and to the school headmaster, Phil Goldsworthy who is always on hand for events at the school. We would hate to lose you! We currently hold over 350 e-mail addresses of people who are a Patron or Supporter or who live in or near Adderbury or who have attended one or more of our events. A new European Union Regulation requires all holders of data to obtain permission to retain personal data such as an e-mail address on their databases by 25-May-2018. We will only use the data to e-mail details of our upcoming events and generally no more than once per month. We will not pass on any e-mail addresses or any other personal data to any other organisation. If these people are happy to continue to receive updates on our Focal events programme, we are asking them to reply to a recent e-mail. For those who do not reply, we will have to delete them from our mailing list. If you cannot find the e-mail we sent recently or have deleted it, please e-mail me on krmcbe@gmail.com and I will happily ensure you are on our e-mailing list. We have co-opted our youngest member to the Focal Executive. He is Rafe Wingrove and he is one of the scouts who took part in the sponsored walk and raised over £700 towards Focal funds. Rafe has been attending our Executive’s informally for a while now and has been adding to our knowledge, particularly about younger residents; interests and in IT and social media matters. At our last Executive, he was formally co-opted to be a member. He cannot be a trustee because the age limit is 18 years but this is no barrier to his serving on the Executive and he has already made a strong contribution.